Hi! I'm Jennifer! 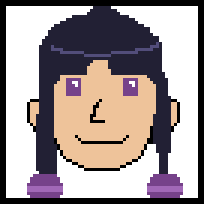 I love making games and have wanted to be a game developer since I was a little kid. Now I'm finally able to make that dream a reality thanks to your help. My favorite types of games are ones that push the boundaries of conventional design and those are the kinds of games I plan to make. Games are capable of some amazing things, allowing us to step into worlds we've never imagined. To experience things never before possible, and from perspectives we've never seen before. I'm especially interested in creating games centered around my experiences as a queer trans woman, a perspective that's incredibly rare in all media but especially in games. So if you'd like to join me on this wild adventure I'd love to have you on board! Gone Fishing is a narrative adventure that explores how gender identity affects the close personal relationships we have with others, especially family. 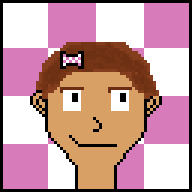 The player controls Emma, a trans woman who met her wife in high school but has only recently come to terms with her gender identity and come out to her wife Bethany. Bethany has tried to be understanding of Emma’s identity but still struggles which is putting a strain on their relationship. With their anniversary around the corner they decide to take a camping trip to try and work out their issues. The player makes decisions on what to say, when to say it or even if they should say anything at all. You can watch the watch the reveal trailer bellow and check out the announcement post here. Freak is an interactive story about growing up trans in a household and society that deems you to be a freak of nature. Your friend Megan has suddenly disappeared leaving only a note to her parents. Did she simply run away? Or did something worse happen? You’ll discover the answer after searching around her home for pages from her journal. I don’t have an exact release date for the game as it's currently sitting on the back burner, but I do have some work in progress demo videos which you can check out here if you’re interested. Stop N’ Shred is a mobile game unlike anything you’ve seen before. The basic idea that spawned this game was simple, turn based skateboarding mixed with an endless runner. Your character will automatically move through the randomly generated level but stop just before each jump. At which point you’ll select which trick you want to perform. Each trick will have a chance of success based on the difficulty of the jump, trick and your player’s skill level. I ended development after completing a basic prototype because the game simply wasn't very fun. You can download that prototype, here. If there's still more you'd like to know then feel free to send me a message on twitter @magicnanners or send me an email. Thanks for supporting my work! You'll get access to developer updates and get your name in the credits. Note: I reserve the right to refuse any name requests for any reason(s). Also if you would like a name other than whats on your Patreon account please let me know! You'll gain access to monthly development builds of my current project. They're not guaranteed to work properly but that's what you get with in development software. Currently includes a free copy of T-Runner! 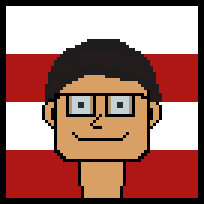 Get your own 64x64 pixel art portrait! 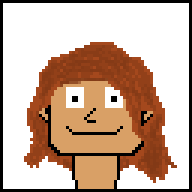 Get TWO pixel art portraits! Get one for yourself and give one to a friend! Or get two different one's of yourself! Or two of your friends! The choice is yours! Also includes previous tiers excluding the single portrait obviously. At this level of funding I'll be able to have more time to do an additional monthly update that goes in depth on a particular aspect of the game that I've been working on. As such I would then change my other developer updates to be available to everyone, not just patrons.